Image above: Florence Bourgeois and Christoph Weisner. Andrea Blanch: What were the biggest challenges for you taking over this fair after Julien Frydman's resignation? Florence Bourgeois: Our main challenge is to consolidate Paris Photo Los Angeles as one of the most important fairs for photography on the West Coast, where for the time being you don’t have so many fairs, but there is an art market and there are collectors. AB: In a statement, Jean-Daniel Compain of Reed Exhibitions said you will be “exploring new territory” and “writing a new chapter” for Paris Photo. What exactly is the new territory will you be exploring? FB: For the time being we are really focused on Los Angeles, especially the young and emerging galleries. AB: I was going to say that last year's fair was praised for having more of a local focus and reacting more to the city of L.A., so you're saying this will continue? Christoph Weisner: Originally, the fair was really for photography galleries. Over the past few years, it’s developed and opened up to contemporary art galleries that don’t necessarily specialize in photography. If you see the list of galleries, we have 17 different countries represented, which is an occasion to explore new territory. Also, Los Angeles offers the opportunity to connect photography and fame. It's an ongoing process. ©Ren Hang, Untitled 1, 2014. AB: I've spoken to a gallerist I know from London who went to the first year's fair, and he said he didn't go back because it was expensive. He also doesn't feel that photography does as well in what he calls "Glare Cities,” like L.A. and Miami. Do you have any sense of that? FB: You cannot hope to have huge results from a fair the first time, especially in an area where there are no fairs. This is why I started this interview telling you that we need to consolidate and progressively lead people to come to this fair: collectors, buyers, institutions, etc. We are only in our third year, but we are progressing very well. We are building partnerships that are going to progressively bring more buyers, more media, and more business for the fair. This is for sure. CW: If you remember Miami, it took 10 years to make a huge international fair there, but now it’s really one of the main events in the American art market. I think there is a really strong energy, for sure. Not during the whole year, but in the end, the city was able to create a very huge haven, so why not in Los Angeles? A market will not be built in two days. It will take time, so we have to keep going. There is a local market for sure, but for it to become a really huge international event, we would need to get many more people from outside of California, from the rest of the States, from North America, from Latin America, and also from Asia. We are working a lot. ©Ren Hang, Untitled 3, 2014. AB: You said that the galleries are younger galleries. This is of interest to me because Musee Magazine has a lot of emerging photographers and I’m always looking for new talent. I noticed when I was looking at your exhibitors, there weren't many big name galleries. One person I spoke with about the fair said a lot of young people come in and look at the photographs, but they don't buy. I'm wondering if having these younger galleries will enable people to buy more photography? CW: For sure a few galleries are not coming back, but when you speak to L.A. galleries, they all say there is still a market in Los Angeles. Generally, with the exception of New York, a lot of galleries, whether it’s in Paris, London, or even Tokyo, still have to go to different fairs to create a market throughout the year. In Los Angeles, especially with young galleries, it's our job to reach a price that is maybe more affordable. FB: I don't see why there shouldn't be a market in Los Angeles. You have a lot of artists living there. You have more and more galleries settling in Los Angeles; you have huge houses; it's the 7th or 8th economy in the world. The art market is not as settled as it is in Paris, London, or New York, that's for sure. The potential is here. It's not something that has been installed for 20, 30, 50 years like in New York, Paris, or London. AB: How about the both of you? Do your visions or tastes in art differ or overlap? CW: We collaborate a lot, exchanging ideas and really discussing everything together. We really want to be a dynamic couple. It’s not like one person sticks to one part of the fair and the other to a different part. FB: You know, we have backgrounds which are quite different. AB: Can you talk a bit about your background? Why do you think you were chosen to be the head of the fair? FB: For my part, I am more on the business and management side. Also, I worked many years in LVMH, and I was heading Paris Art and Design this last year, so we had a fair in Paris and another in London. I am also an art historian, so I have been in the art field for many years, with a mother who was an art collector, and having done studies of art history about 10, 15 years ago. So I'm involved, but in quite a different way than Christoph. Christoph was telling me something yesterday which I liked a lot: he said that his experience with galleries was inside the box, and I have outside the box experience; so both of us are quite complementary. CW: I used to work for galleries for 17 years, and when you are an exhibitor you know how painful it can be to be in a fair, and how great it can be, also. You understand both sides. AB: Since you’re targeting younger galleries, what was the criteria to exhibit in the fair? How did you choose? FB: We wanted them to have a good project. That was the first thing. CW: As you know, since the first year we have a prize we give to a young photographer. We selected six photographers, all of whom you can see online on our webpage. A jury will choose the finalist and give the award on the April 30th. All this energy connects to the young gallery stage. FB: We focus on young galleries with this J.P. Morgan prize, which is very important for us, focusing on the art students of the Californian schools. But we do have big galleries and big names, as well. Hamiltons are coming back for a third year. There is also Cherry and Martin, M+B, Marc Selwyn, and Christophe Gaillard. This is a mix that is quite interesting with very established galleries with strong artists, and younger ones. This makes sense coming into Paramount Studios. ©David Benjamin Sherry, Deep Blue Sea Rising, Oregon, 2014. Courtesy of the artist and OHWOW, Los Angeles. 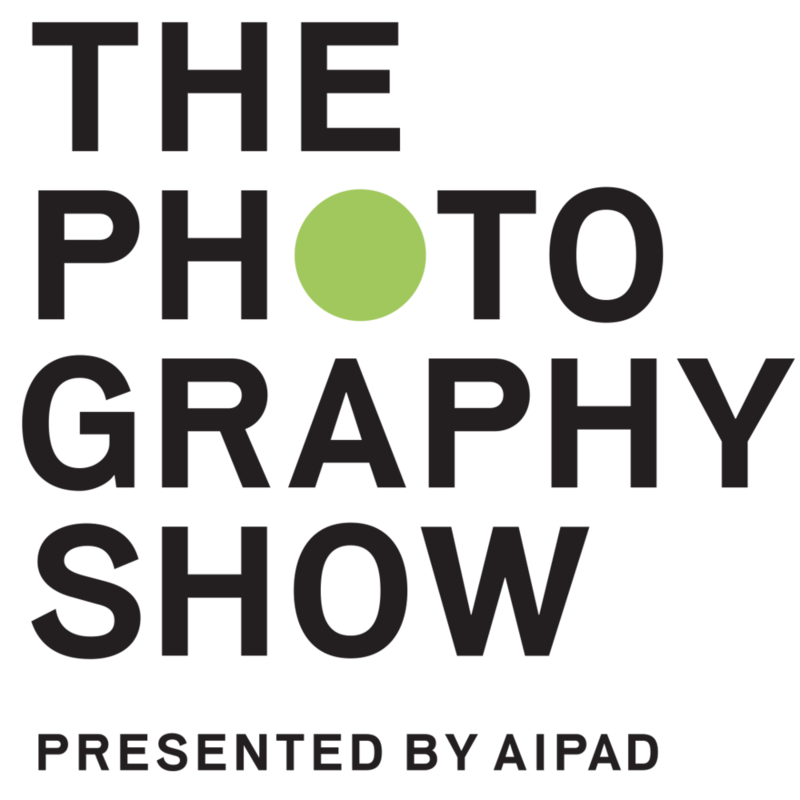 AB: Have you noticed any emerging trends in photography? CW: "Trend" is a little bit difficult to say because, as you know, the prediction can go in so many different ways. We see it in the really emerging photographers who are not on the market. This is the case of the six young photographers we selected. We have one that is more about social topics relating to the story of his family, the other one is much more in relation to masking a personality, a third one is much more deconstructive in relation to a kind of collage, like what a sculptor would do in a three­ dimensional way. We still have a few projects about architecture, but relating mostly to historical and political issues. FB: We don't have a theme in the fair. The projects are very different. Some galleries present solo shows, and a few artists show architecture projects. But is it a trend? AB: The theme of our latest issue is "Controversy". We've spoken to people like Mark Lubell and Fred Ritchin from ICP who feel that photography is approaching a major paradigm shift. So I was curious, what in your minds are the biggest controversies or debates in photography today? How do you deal with that, or do you deal with that, in Paris Photo LA? CW: If you consider what you see at a photography fair, on one side, you have a huge comeback of photography as documentation of other kinds of art. For example, photographs that document performance art from the 60’s and 70’s. On the other hand, you have photographers who are coming much closer to artistic practice. They are not working anymore in a documentary way. They are using photography to question the medium, like you had with abstract painting in the 50’s, where the presentation is not a topic anymore and you just had a dialogue about what this medium could become. It's what I feel I’m finding in young photography. I would love to speak about that at the end of the year after Paris Photo in Paris, so you have a bigger overview. ©David Benjamin Sherry, Melancholic Metadata, Oregon Coast, 2014. Courtesy of the artist and OHWOW, Los Angeles. ©David Benjamin Sherry, Lunar Synthesis, Oregon Coast, 2014. Courtesy of the artist and OHWOW, Los Angeles. AB: It's an interesting question, because where photography is going and what people are doing with it, is something I never imagined when I started taking pictures. The medium is really changing and moving forward, and they’re starting to teach that in schools. CW: Just look at what the MoMA selects as a new position of photography in the last two or three years. You see photographers who are working like painters, using photo paper and working on them with chemicals that will change the color. Even the format is completely different, it's like a 3­D format. AB: Where would you like to go next with this fair? CW: Honestly, for Los Angeles, we want to work really closely with film and the animated image. This year it was difficult to work strongly with that topic, but we would like to pursue that. Now there is less and less distance between fixed images and moving images; everyone is able to make a film on an iPhone or understand with images. I think this would definitely be a new issue in our relation to image. AB: Why did you bring in Jeremy Zimmer from United Talent Agency? What does he bring to the table? FB: We have a partnership with United Talent Agency. They will invite 500 people among their celebrities to the fair, so we are hoping they will be interested in the art market, in the galleries, in the photography presented, and buying, of course. AB: Where would you like to open a fair next, after Paris and L.A.? FB: Christoph and I have only been in the Paris Photo team for 2 or 3 months. It's a little bit early to think about this, but probably on another continent. © LeRoy Grannis, Dewey Weber, 22nd Street, Hermosa Beach, 1966. Courtesy M+B Gallery, Los Angeles. AB: Are there any pieces in the show that you find very exciting? AB: I heard that the lease for Paramount Studios is terminating soon. What are your plans for Paris Photo LA after the lease ends? FB: Paris Photo has a confidentiality agreement with Paramount and we cannot respond to inquiries concerning the nature of this contract.